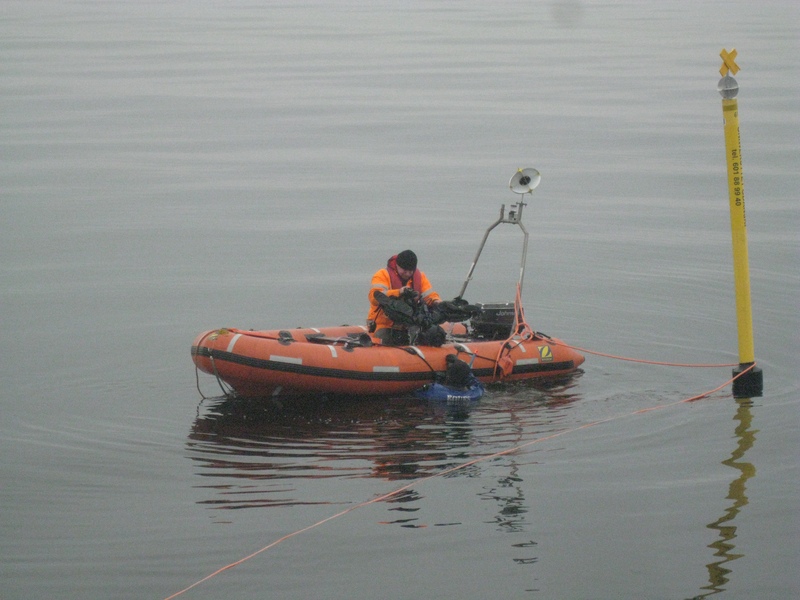 Finnish team deploying an acoustic porpoise detecter with an acoustic release system attached. 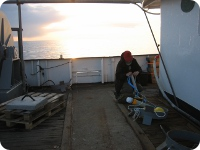 Swedish team securing an acoustic porpoise detector to an anchor. 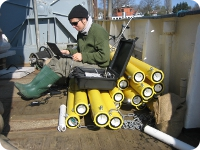 Swedish team preparing acoustic release controller. Swedish team about to launch a small vessel in Västervik, Sweden. 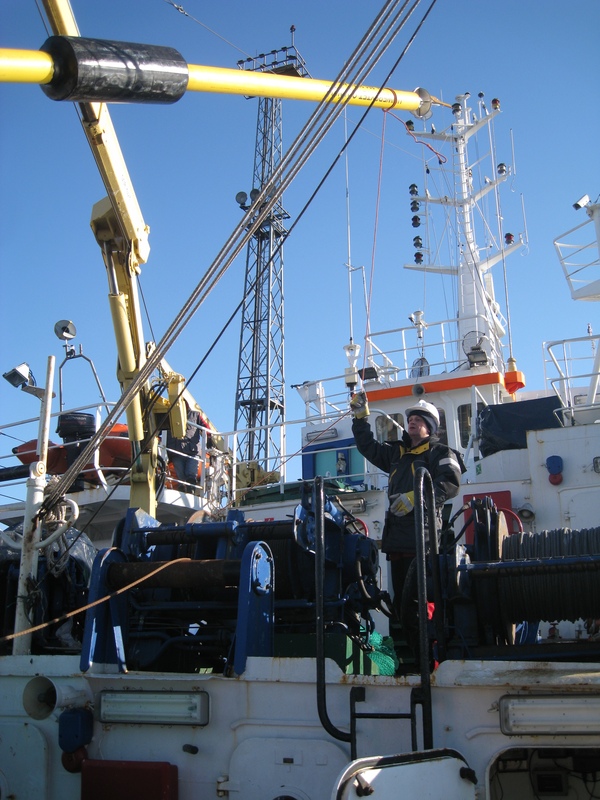 Polish team loading marker buoys on to ship. Polish team using a SCUBA-diver to retrieve an acoustic porpoise detector.